This is my first post exploring the history of the sommelier. You may find the second post at “Jerome Bowie, sumlyer, of all wynes that he sall desyre to the Kings Maiesteis vse”: The 16th century history of sommeliers. 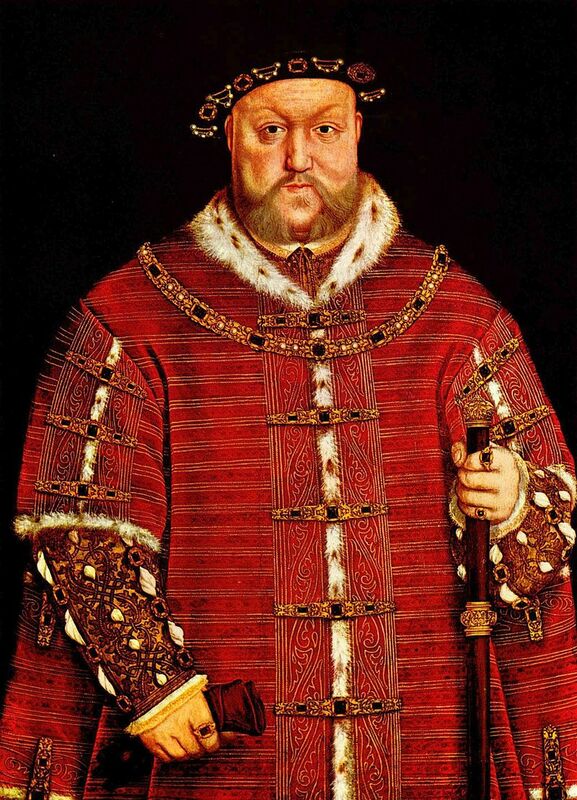 King Henry VIII in 1542. After Hans Holbein the Young. Image from Wikipedia. I have not yet found a direct link between sommelier and wine in 16th century French references. However, I can place sommelier in the orbit of wine during this period. Guillaume Bude’s Sommaire ou epitome du livre de Asse (1522) is a treaty on ancient weights, numbers, and measures. In describing the keepers of the land and the “potz & vtesil les de cuysine” he lists 20 members. These include “sommeliers, ouuriers de mixtioner, faiseurs de vins aromatizez & de toutes doulces liqueurs, & boissons artificielles”. It is in the 17th century that references between sommelier and wine increased. Jude Serclier mentions “Le sommelier de Pharon” from Genesis 40 in Le grand tombeau du monde, ou Jugement final des party en six livres (1606). However, it is in Les hieroglyphiques de Jan Pierre Valerian (1615) within the section Hierogrlyphiques de la Vigne that we find a stronger link. Here is a description of “Le sommelier de Pharon” who saw the triple vine from which he crushed the three grapes and presented “du vin au Roy”. There is, however, no direct statement that the Pharaoh’s sommelier primarily dealt with wine. Rajat Parr writes of David M. Johnson that sommelier evolved from sommier, itself stemming from terms related to cargo and that sommelier eventually meant “a servant in charge of the wine.” Exploration into the etymology of sommelier appears to date to the early 17th century when Etienne Pasquier proposed that sommelier stemmed from somme in his Les Recherches de La France (1621). Sommelier stems from load because these people typically carried bottles through the fields for princes and great lords. It is perhaps here that the association between sommelier and bottle was formed. Unfortunately, Etienne Pasquier does not state what was in those bottles. In moving forward several decades in history, a similar description appears in James Eugene Farmer’s Versailles and the Court Under Louis XIV where he frequently cites the works of Louis Etienne Dussieux. James Eugene Farmer quotes Louis Etienne Dussieux, “The wine-porter is to bring to the chase, or wherever the king may have gone…wine and water in two silver flagons.” I cannot yet determine which particular work James Eugene Farmer is referencing to see if there is an original French document from which he translated “wine-porter” from sommelier. This turns out to be inconsequential for there are additional references prior to the Court of Louis XIV. 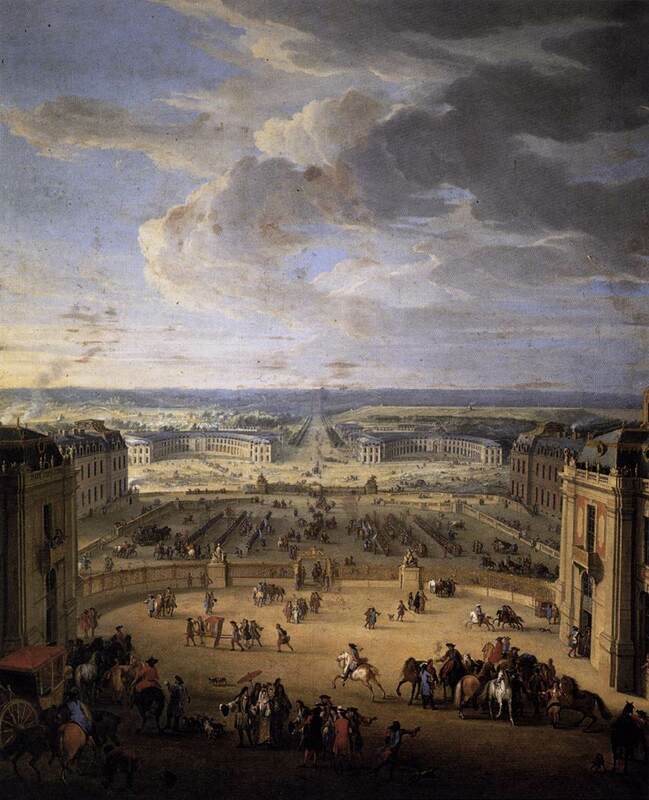 View of Versailles. MARTIN, Pierre-Denis. 1722. Musée National du Château, Versailles. Web Gallery of Art. A decade after Etienne Pasquier published his book there appears a brief description of a sommelier carrying wine in an issue of the Paris Gazette from 1634. In this case a group of Spaniards saw the sommelier with full bottles of wine, publically smashed the bottles then left the sommelier for dead. One year later a direct link between a sommelier and wine may be found in Philibert Monet’s Invantaire des deus langues françoise et latine (1635). Sommelier, que fait la depanse du vin: Promus vinarius. Dispensator vinarius. Cellarius vinarius. Promus cellae vinariae. Praefectus cellae vinariae. Sommeliere, charge de sommelier: Munus cellarij vinarij. Praefectus cellae vinarie. Sommeliere, lieu de la depanse du vin, ou se distribute le vin: Vini promtuarium., Vinatium promtuarium. Vinarium diribitorium. SOMMELIERe (m.) qui a soin de la depense du Vins dans une Maison, a Butler. Sommelerie (f.) Charge de Sommelier, the Butlers Place or Office. Sommelierie, le Lieu ou le Sommeliere distribute le Vin, a Buttery. The rise of bilingual dictionaries allows us to date the direct association of sommelier and wine to the mid-17th century. Sommeliers were clearly involved with wine prior to this period. A good starting point for further investigation is the history of sommeliers carrying wine for lords, princes, and kings. Perhaps sommelier has royal beginnings as evidenced by King Henry VIII and King Louis XIV. Unfortunately, David M. Johnson’s article was lost in a computer crash and the online link is down. ‘House of Lords Journal Volume 3: 28 May 1621’, Journal of the House of Lords: volume 3: 1620-1628 (1767-1830), pp. 135-138. URL: http://www.british-history.ac.uk/report.aspx?compid=30318&strquery=”wine cellar” Date accessed: 14 January 2014. ‘Henry VIII: May 1522, 16-30’, Letters and Papers, Foreign and Domestic, Henry VIII, Volume 3: 1519-1523 (1867), pp. 959-974. URL: http://www.british-history.ac.uk/report.aspx?compid=91096&strquery=sommelier Date accessed: 14 January 2014. ‘Henry VIII: February 1543, 26-28’, Letters and Papers, Foreign and Domestic, Henry VIII, Volume 18 Part 1: January-July 1543 (1901), pp. 114-134. URL: http://www.british-history.ac.uk/report.aspx?compid=76728&strquery=sommelier Date accessed: 14 January 2014. Louis L. Dussieux published such works as Lettres Intimes de Henri IV (1876) and Le Chateau de Versailles; Histoire et Description (1881). I have been unable to find the source of James Eugene Farmer’s translated quotation.